BikePark Wales is looking for a Workshop Mechanic to join our super team. If you love mountain bikes and the community that surrounds them, have a passion for riding bikes and want to work right on the trail head, then this could be a great opportunity for you. With the UK’s best selection of trails, an amazing shop stocking the best brands in the industry and a great team of colleagues BikePark Wales is the ideal place to work for anyone who lives and breathes mountain biking. 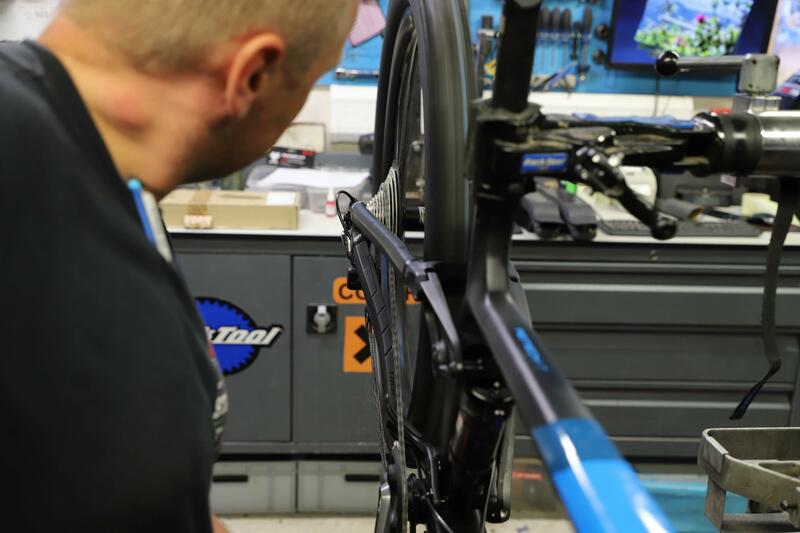 We are looking for an individual with experience in delivering the highest standards of customer service in a bike workshop and hire centre, and to carry out all tasks necessary to ensure that quality service is delivered in a professional manner. The applicant will hold a minimum qualification of CYTECH Level 2 and have relevant experience of working as a bike mechanic. This will be an exciting and varied role including work in the visitor centre. Daily workshop services as directed by the Workshop Manager. Maintain high quality and quantity of work, service standards, and behaviour. Carry out daily running of the workshop and bike hire customer front. Repair and service of customer bikes in addition to our own hire fleet, as well as preparation for sale of ex-hire bikes. Responsible for workshop and adjacent external areas tidiness. Work to a job record system, meeting agreed deadlines in a fast-paced workshop environment. Act as an approachable source of information for customers wishing to make a purchase of services, including discussing the merits of different products. Assisting in the maintenance of suitable stock levels. Maintain a suitable level of industry knowledge and developments. Attend and contribute to monthly team meetings. Pro-Active attitude to maintaining and improving professional knowledge. Actively participating in Trek University and Shimano Technical Education. Cover shop sales and customer service as required.